On July 1st, will be the celebration of Canada's 150th birthday. If you didn't know it already, I am from the beautiful country of Canada, and proud to call it my home! Unfortunately I won't be north of the border on July 1st. 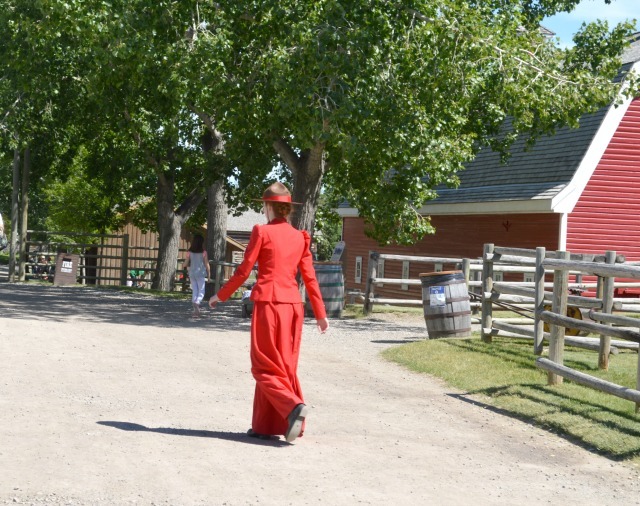 Instead I celebrated early by visiting a historical village last week: :Heritage Park in Calgary. 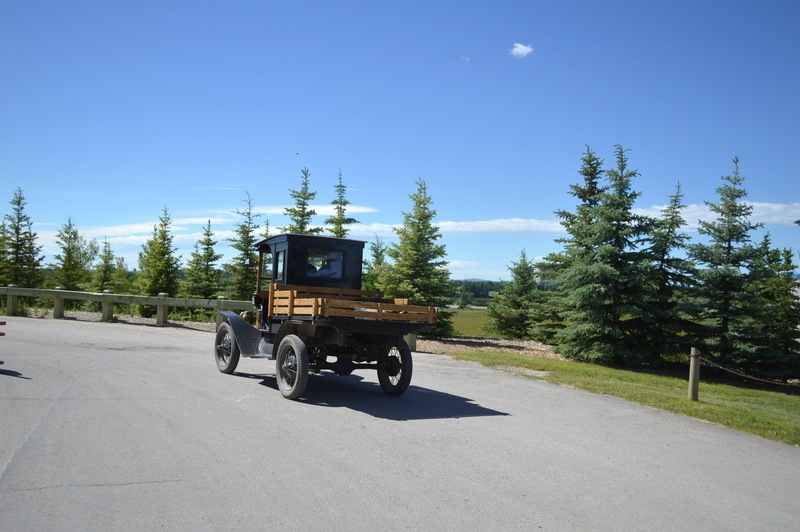 *This post is in collaboration with Heritage Park of Calgary Alberta. I received complimentary entrance into the park in exchange for an honest review. All opinions are my own. 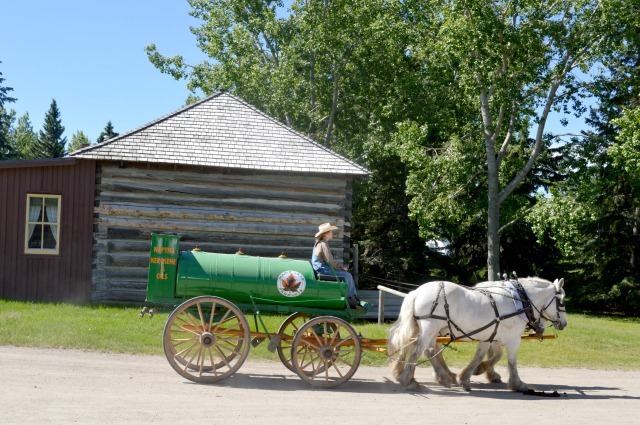 Take a ride back in time and explore Canadian history at this beautiful sight located in the city of Calgary. 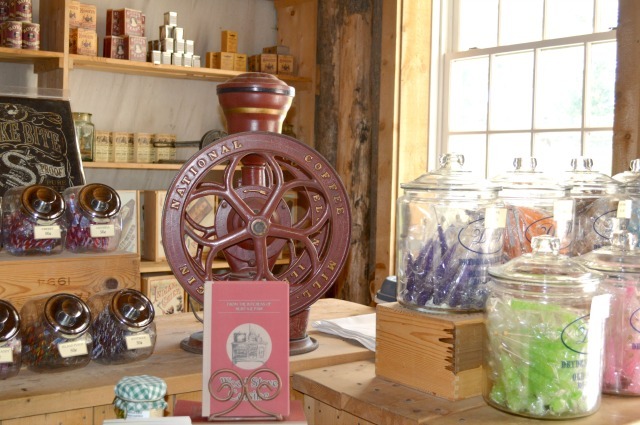 This park is Canada's largest living history experience. 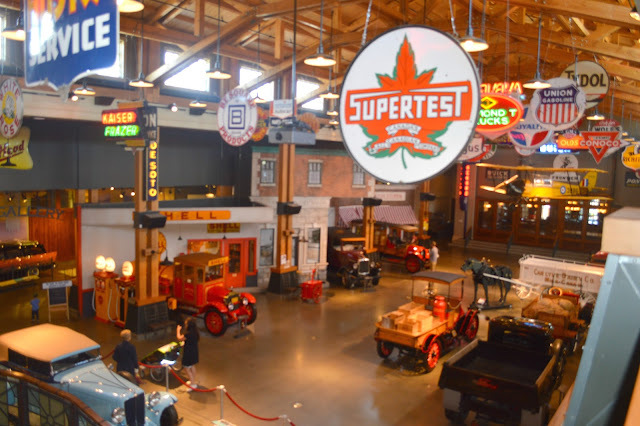 It's so cool because there are over 180 unique exhibits with activities , that let you enjoy a time from days gone by. I have been to Heritage Park a few times in the past, but this time I explored it more in depth. There have been some major additions since last time I visited. 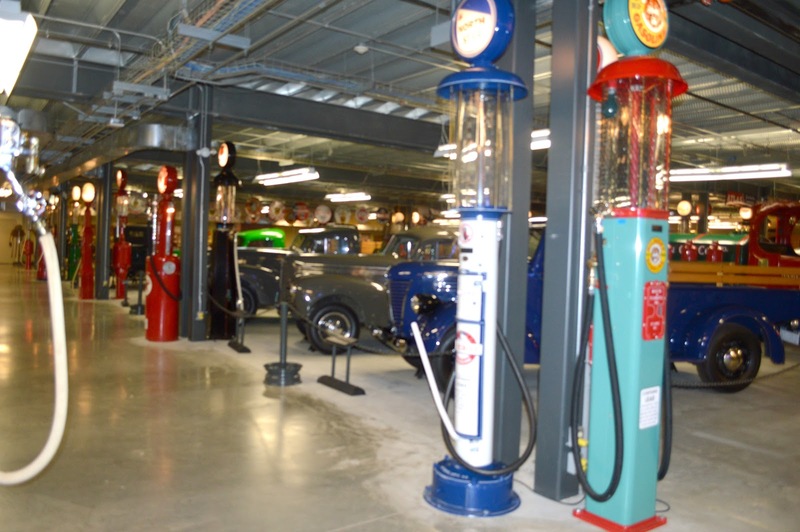 They added an incredible vintage car and gas pump museum called "Gasoline Alley"- more about that later! 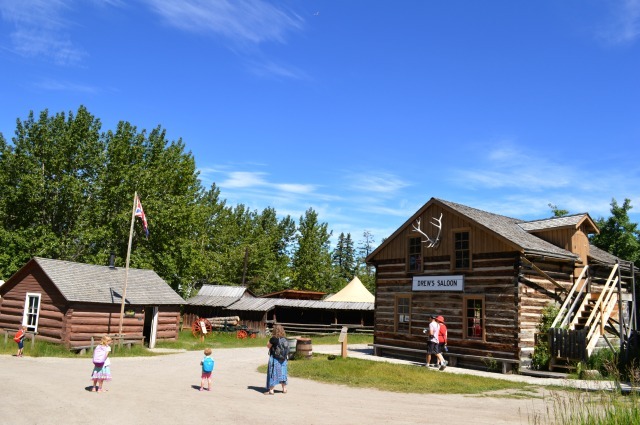 The park has several sections to check out: When you step through the gates you will embark on an amazing journey through the early days of western Canada's history : The journey will go from a timeless First Nations camp to a rustic settlement, from a bustling young prairie town to a mid 20th century urban square. I absolutely loved the park and tour down through time. Everything you get to see and participate in, does make the experience so realistic and reminiscent of the settlement days. Now hop on board for a ride you won't soon forget! This is the best area to start the journey through the village chronologically. A beautiful farm setting is the beginning of the settlement area. 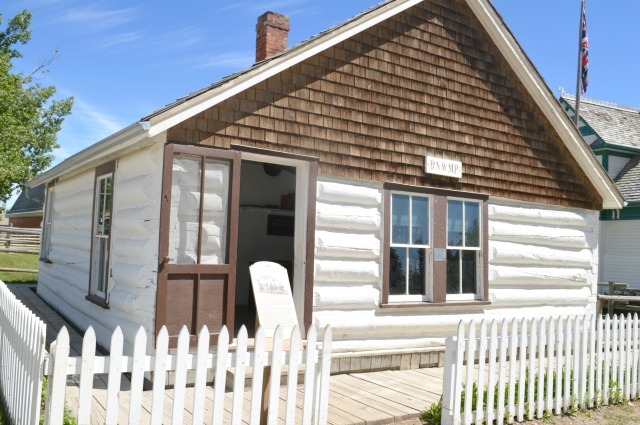 Here you can visit the Gleichen School from 1888, hang out at the Hudson Bay Company Fur Trading Fort, or grab a drink at Drew's Saloon and Stopping House. 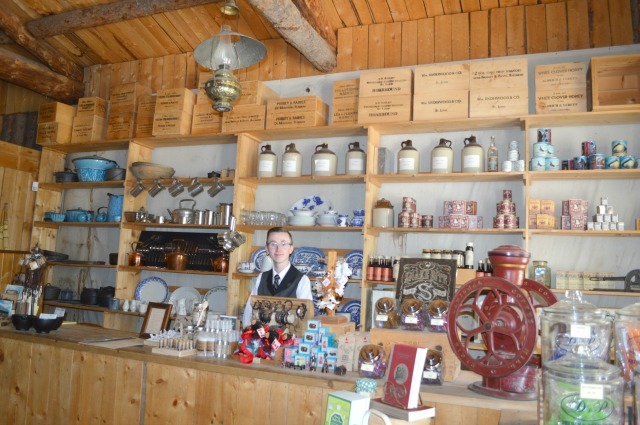 The little general store was fun to stop at too , it's stocked with all the old time goodies I remember growing up with. You can also purchase other gifts such as candles and homemade soap etc. 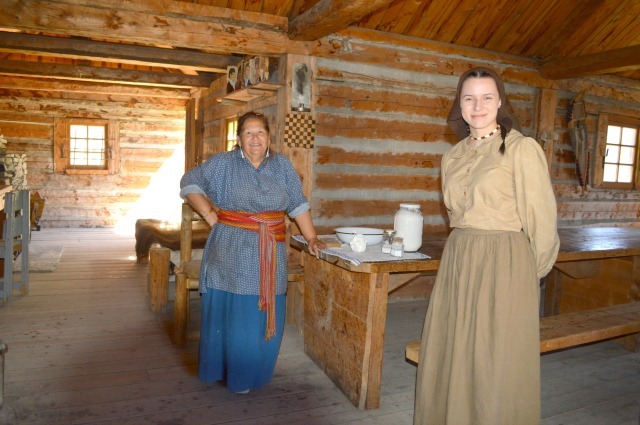 Inside the Hudson's Bay fur trading post, these ladies were busy baking bread on the two large fireplaces- that lined the wall of the fort. First Nations Encampment: Here you can find out how life skills were taught to First Nations children, while enjoying Aboriginal games. There are 3 train stations located throughout the park , and you can hop on and off the train any time you like. It really is the best way to enjoy it without getting tired from trekking all 127 acres! 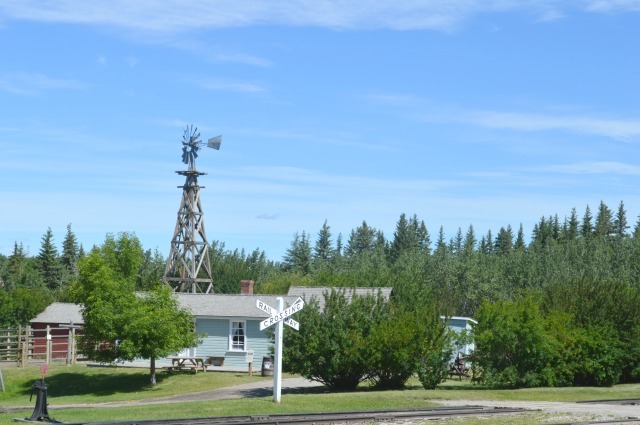 Anyway if you want to check out the ranch with the Burnside house, then you need to disembark at the Laggan station. 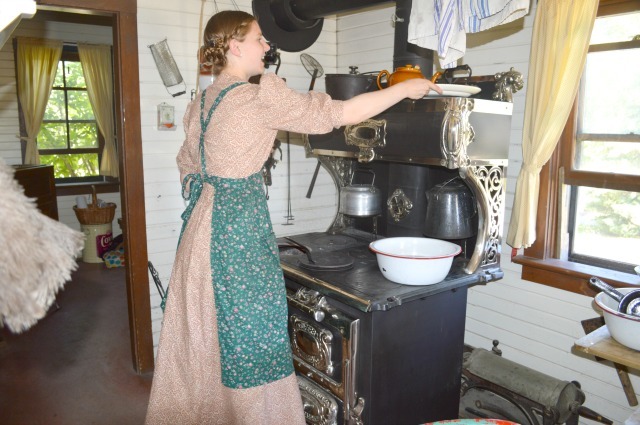 At the Burnside House you can experience the old time farm life. 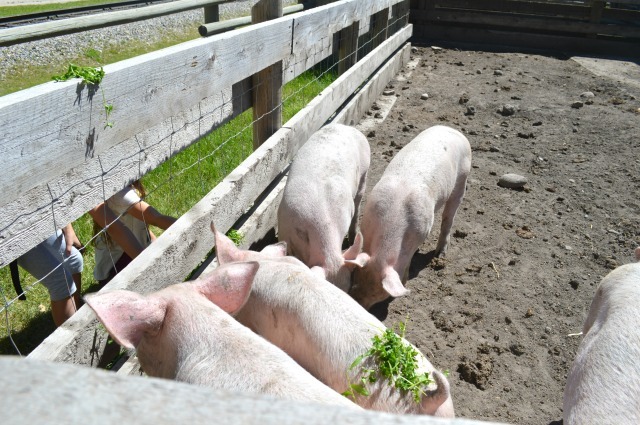 Tame pigs are on site for your little ones to pet, and a cage full of chickens. Inside the house check out how ladies of this era spent time in the kitchen- the fresh aroma of home baked cookies waffles through the air and beckons you in. Just shootin the breeze! I loved capturing this scene! 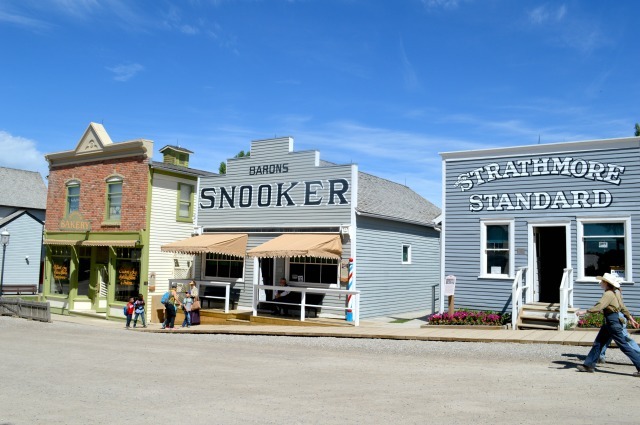 The village is bustling with activity with over 30 sights and activities to check out. 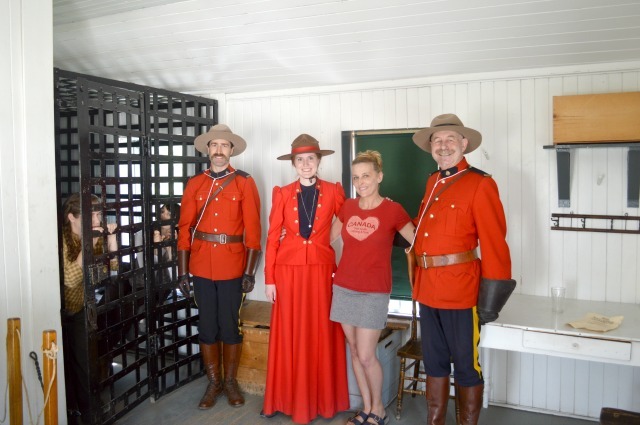 The RCMP barracks are a must see, formerly known as the Royal NW Mounted Police of 1887. Chat with the friendly officers in classy red uniforms: just be on your best behavior - there is cell waiting for the bad guys, he he! If you have what it takes to be a Mountie, you may get recruited for a March around the park! The Wainwright hotel and bar room, is another must see. 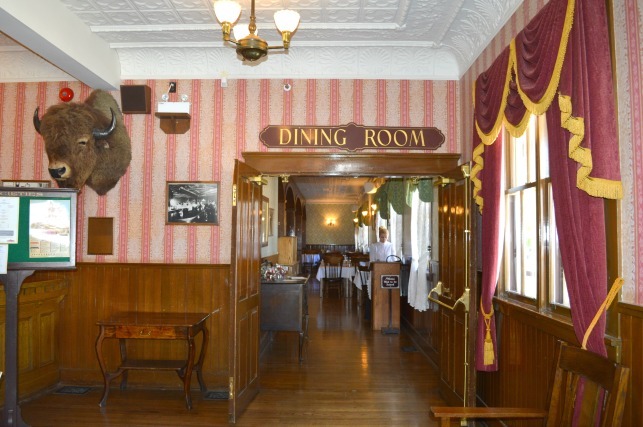 Enjoy a fine meal in the antique dining room, or grab a snack in the ice cream parlor . Hot dogs, chips and other quick eats will hold you over for awhile. Picnic tables with a meadow like atmosphere are located just across from the hotel- the summers in Calgary are usually wonderful, so eating outside would be a great choice. I mentioned the train earlier, if you visit the park, do make time to ride it! It is the real deal and quite an authentic experience. The conductor was so much fun and made the ride entertaining. Hang on to all your belongings tight and don't hang your arm out the window trying to get pictures like I did...ha ..my watch fell off and didn't make it home with me! The Prince House: Peter Prince and his wife Margaret but this beautiful big house. They were considered important members of the community. 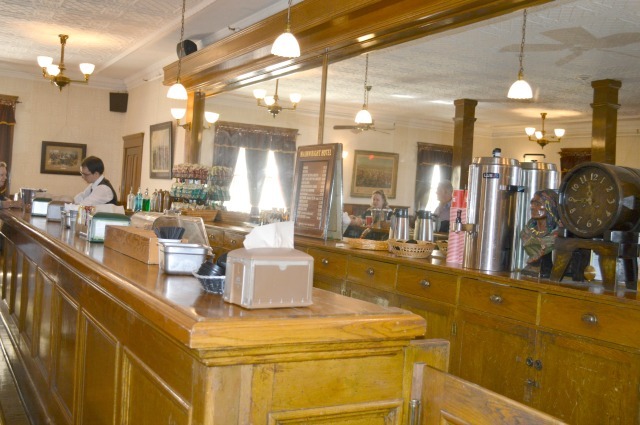 They were instrumental in setting up the Eau Claire and Bow River Lumber Company. They were from Lake Simcoe, a remote little village. They later moved to Wisconsin- before ending up in Calgary. 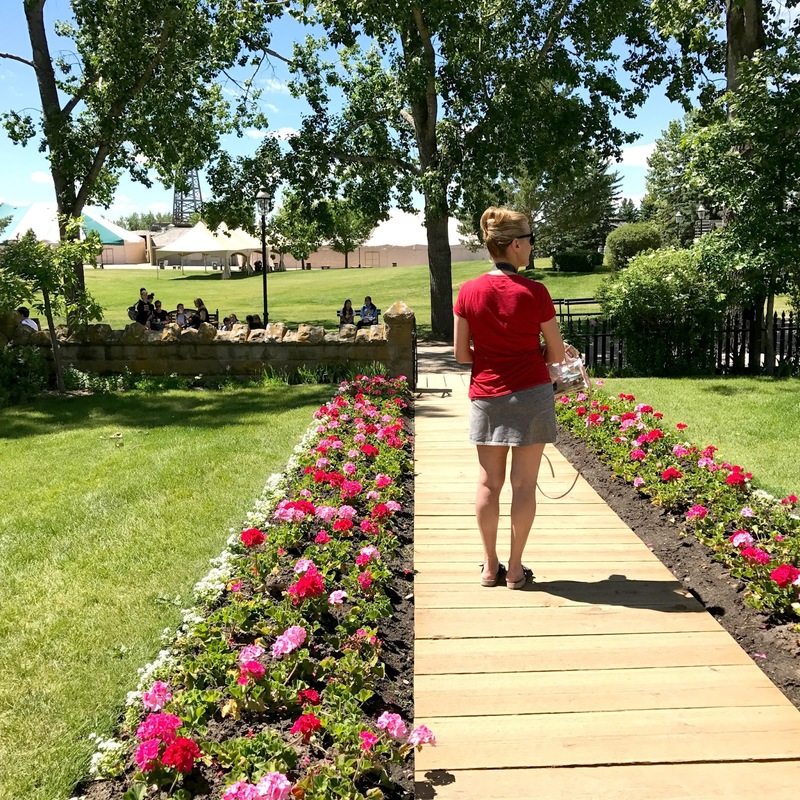 If you have time to explore more of Calgary, there is a gorgeous park located along the bow river downtown. Princess Island Park is named after Peter Prince. On July 27th there will be : An Edwardian Garden Party on the lawn of the Prince House. You can play croquet, and enjoy sparking wine with your dinner. I have to say this was my favorite spot in the park. The view from this windmill -of the Glenmore Reservoir was breathtaking. I was sitting on the bench wishing I had a better lens to capture the beautiful Canadian rockies, dotting the skyline in the distance. Wilhelm Mallon was a German carpenter and blacksmith. He arrived in Canada in 1910. 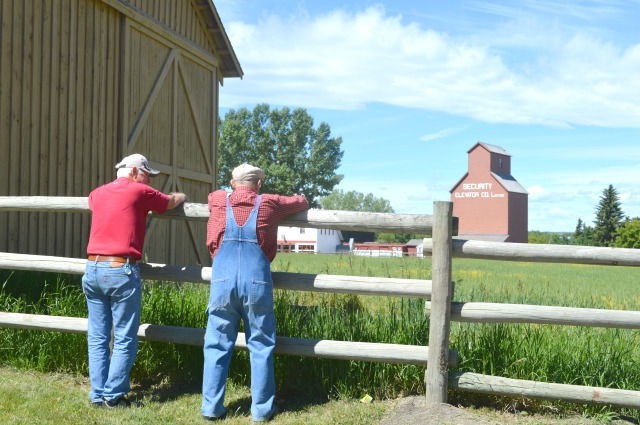 He found out that the soil of his farm near Bruderheim Alberta,( near Edmonton) grew a good crop of rye. He then built a mill to make rye bread like he had back home in Belarus. He ended up building two mills on his farm. Despite the lack of wind, his mill still did a great business. In this area,you can also hop on board a boat for a cruise of the reservoir. I regret we didn't have time to take advantage of this ride. Travel on the boat is available everyday from 10:30 am- 4:30 p.m. The Captain's Cruise is an evening cruise that can be purchased separately from the park entrance fee. Indulge in gourmet hors d'oeuvres while enjoying live music from a jazz band. 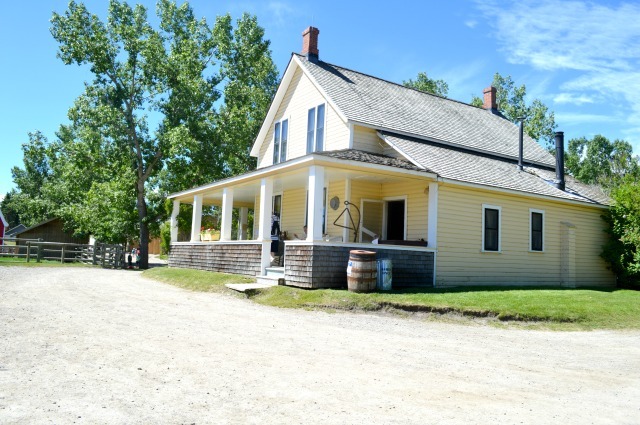 This house is Heritage Park's newest exhibit. It tells the story of women of influence in Canadian History. 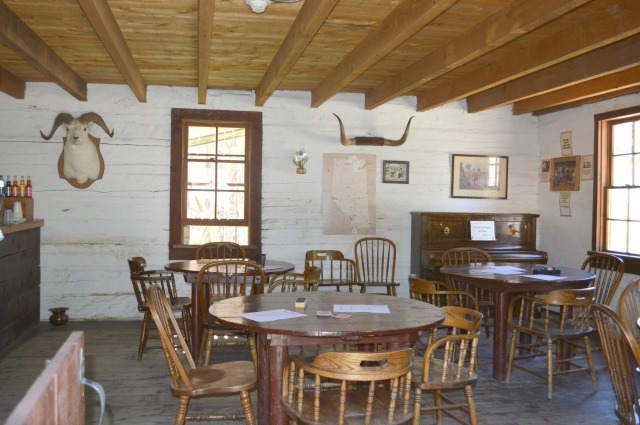 The home is a replica of Nellie McClung's home. Sharing the stories of the famous 5 group of Albertan women, will be part of the mission of this house. The Centre will feature the stories of 5 very brave women who helped shaped Canada's history: Nellie McClung, Irene Parlby, Louise McKinney, Henrietta Muir Edwards , and Emily Murphy- petitioned and won the right for women to vote in 1929. The great Ferris wheel was featured at an exhibition in Chicago in the year 1893. The wheel was invented by G.W.G Ferris. W.E.Sullivan a younger bridge engineer, was impressed by the invention and decided to create a smaller wheel in 1900. Jim Conklin, a name associated with carnivals- purchased the No. 5 Big Eli Wheel in 1977. The wheel had been uses at carnivals around Ontario. In 1984 Conklin donated the wheel to Heritage Park. This is the main entrance to the park " The Town Square." Here you will find an assortment of gift shops, restaurants, and an open plaza. Every Wednesday( 6-8 p.m. )throughout July and August, the square is fulled with the sound of music. This year's line up has a diverse range of musical styles. Each show kicks off with an up and coming star, performing from the Calgary Stampede Talent Search. 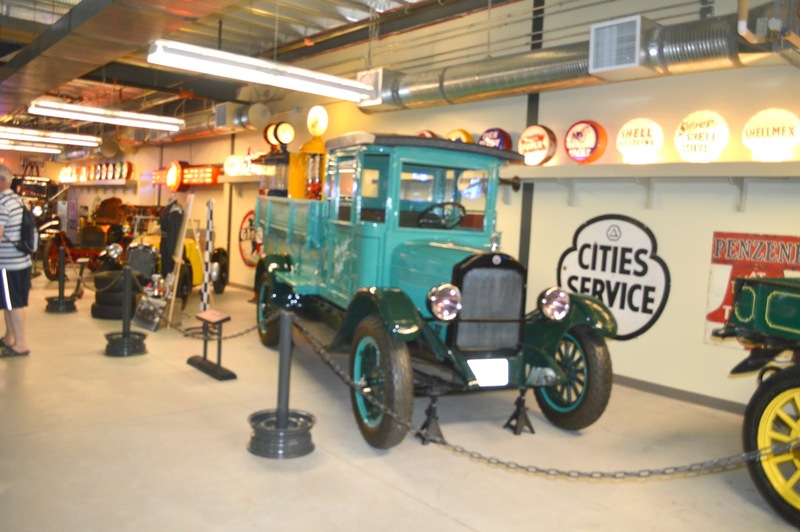 Gasoline Alley Museum: This is the main attraction of the square . If you are into cars, this is one you don't want to miss. When I visited the park early in 2000, this museum was not here. It was added in 2009. It was amazing to check out the two floors of antique gas pumps, cars, and trucks. Costume style and design: Since I cover fashion in addition to travel on my blog - the Media Specialist was so kind to arrange a tour of the costume production offices. This is not open to the public, so I was very thankful to experience this part of the village. It was amazing to see how many pieces are created yearly to clothe the actors and volunteers in the park. 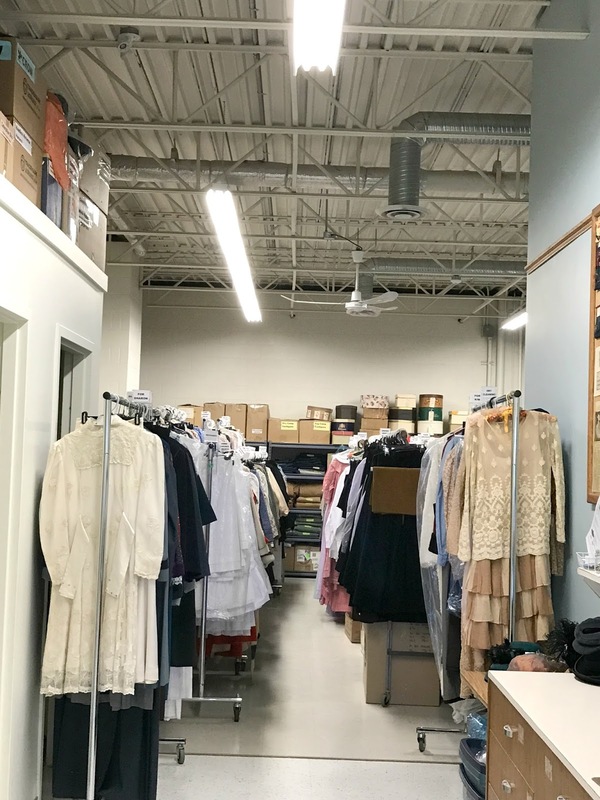 The Park's historical costume collection includes over 15,000 pieces. All outfits are designed and sewn on site. The Mounty costumes and period dresses were the most intriguing to me. I was right in my element here , and could've spent all day observing the design and production process. 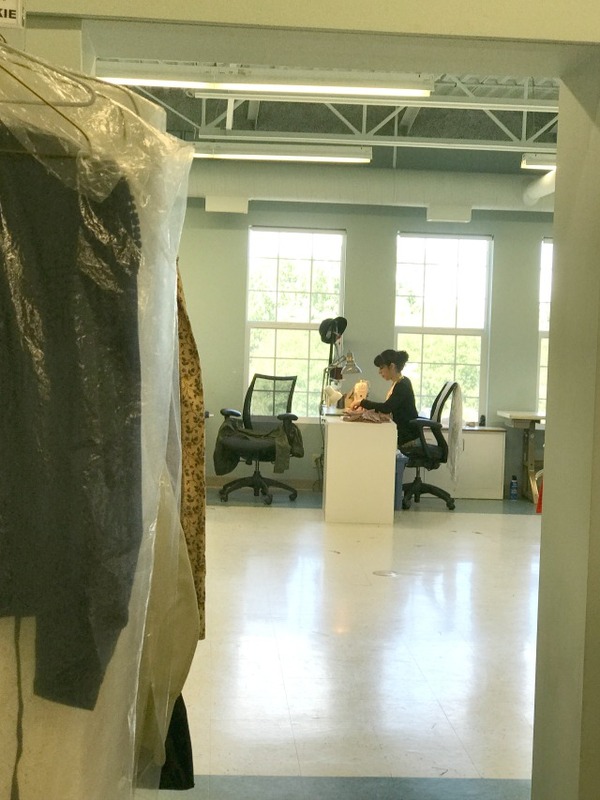 Each piece in the collection has been researched and created by the park to ensure that all the staff are attired in respect to the historical era they represent. 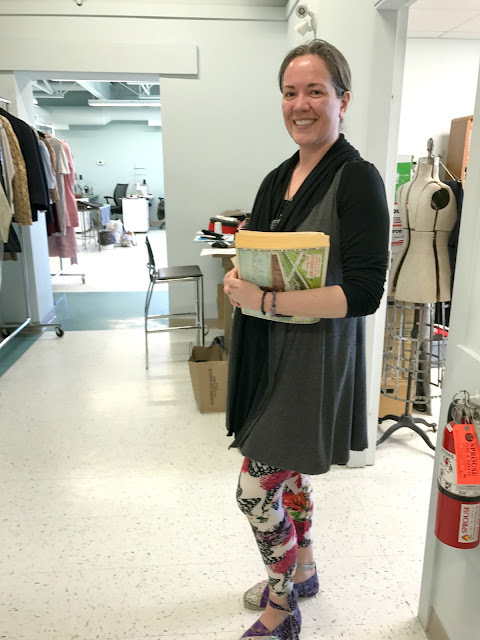 Another interesting fact: The costume production lead pictured here: Is holding a vintage Sears and Roebuck Catalog. The team uses them for pattern design ideas and creation. 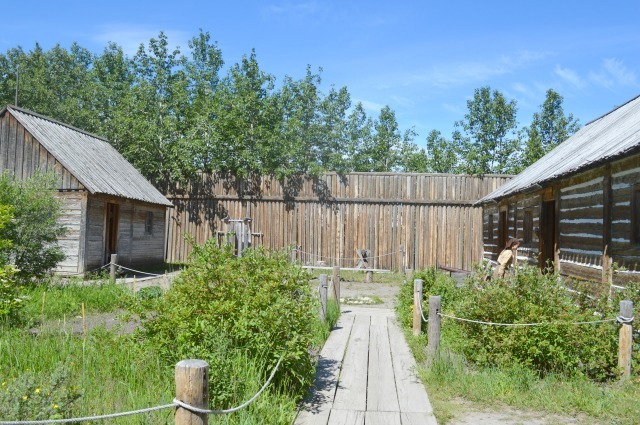 In addition there are over 50,000 artifacts (not including buildings and rolling stock) representing most aspects of a western Canadian's settler life: from the 1860's, 1880's, pre 1914, and last from 1930-1950. The majority of items have been donated by the public. That concludes my tour of Heritage Park. There is so much more to see, I didn't even scratch the surface! If you do plan to go, check out the website to plan your day out. There are many events, functions and education programs held through out the year. 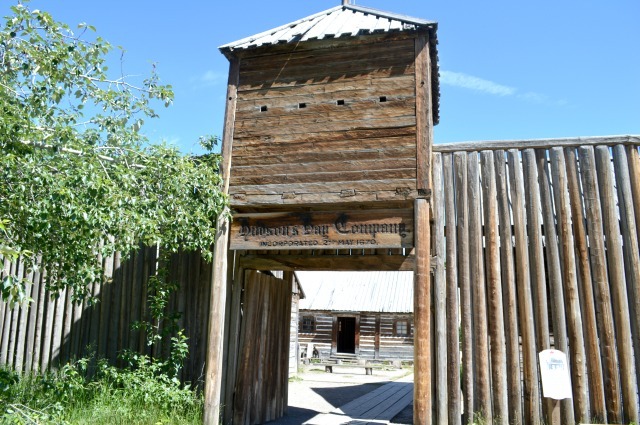 To keep up with the latest happenings at Heritage Park: Check them out on social media. Instagram, Trip Advisor, Twitter, and Facebook. If you are in the area on July 1st, the Journey of a Lifetime exhibit will be presented. This exhibit celebrates Canada's 150th birthday, the Park's 53rd birthday, and shares the stories of the largest immigration wave in Canadian History. Don't miss it! Looks like fun! Beautiful place. It was great Maggie, thanks for stopping by ! Calgary is on my list of places to visit, so thanks for showing all the fun places to go! Great post! This is just one of the many spots to visit in Calgary , the list is endless..it 's a huge city..just dont go in the winter..ha unnless you like lotsa snow!! Thanks for stopping I hope you can go soon! What a fun time!! I always love being a tourist, and there are some great activities here!! Thank you Miss Jodie..see you soon sweet lady! This place looks so cool. I love educational destination like this! Thanks Kate..its is so neat! Thank you Sky it is a must see hope you can go soon! Hope you are doing well, Val! Hope to see you soon. Hey Kusum I miss you a ton!!! How are you? 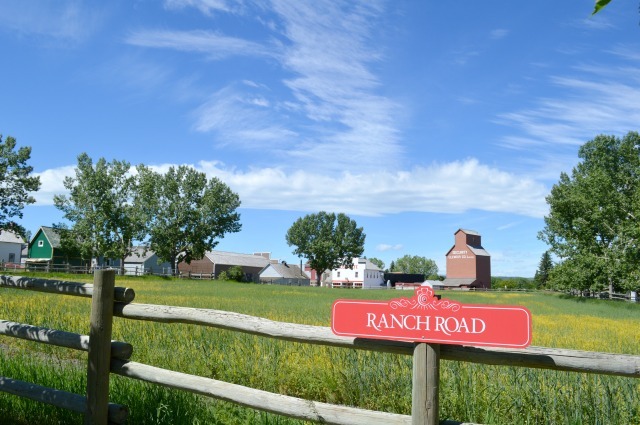 Thanks for stopping by my blog and hope you can see Calgary someday ! I have to let my cousin and his family know about this. They are in Canada right now for the wedding of one of our nieces. They can tour Calgary before going home. Thanks for letting me know. I really loved learning about Canada's history in two trips last year and the year before so I think I'd enjoy this heritage park hugely. I particularly appreciated learning about First Nation history at the museum in Wendake (near Quebec City) and more local history in places like Toronto and Ottawa. I find places like this that bring it alive really interesting! Wow cool Kacey.. I woujd like to visit those as well!! Canada is on top of my list to visit as I love mountains, animals and the outdoors. This was a very informative post, must have been really amazing to visit that ranch and explore it on foot. 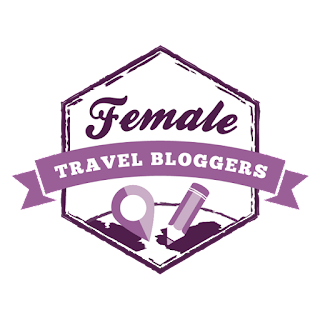 Hey travel hacker girl yes it was quite amazing !!! I loved it there ! Canada has so much beauty to explore! Thank you sweet Celine ! I wish I had taken more pics of the costume design area!! I hope you make it soon to see it! I love these heritage parks, they are such a fun way of putting yourself in the shoes of the people who came before you! It's fun to see this slice of Canadian heritage through your photos. Happy 150th! Yes so well said ! It was reliving my Canadian roots and I loved it!! Looks like a great day out! I love Canada and if I make it to Calgary, I will go and visit! 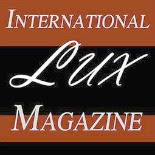 Thank you Lucy there is so much to see there! I just returned from Quebec City, and a very different side of Canada! But, this looks beautiful, relaxing and educational, and I would love the opportunity to return and explore another aspect of a gorgeous, rich country! I hope you can visit and I am dying to see Quebec .. I heard there is a lot of fashion there ... which I love! What a cool way to learn about the history of Canada! This looks like a really interesting experience, I'll have to add it to the list! Thank you Emily, it was so fun!! So true! It was so nice to explore the history of your own country!! I can't believe how much this reminds me of Alaska! It's like taking a step back in time and all looks very authentic. I hope to explore more of Canada and their history sometime soon! HI Susanna, cool it reminds you of Alaska! I have only been there on a cruise ship, would love to go back! I hope you get to go sometime soon! Thanks Tyler, I hope you can!